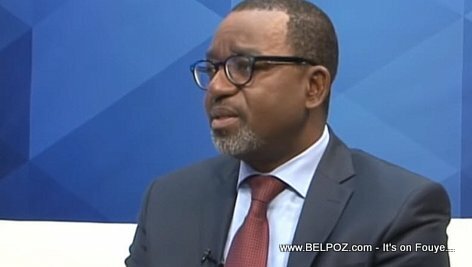 Regarding the PetroCaribe Challenge movement in Haiti, former Haiti finance Minister Wilson Laleau says the way the PetroCaribe dossier being handled, it is targeting specific people in Haiti for political gain. This in turn is putting the lives of certain people in danger and is also endangering the country as a whole. They are using PetroCaribe to turn the Haitian population against a specific group of people then cased closed. The topic is being handled improperly. They don't really want investigation. They don't want the people of Haiti to know really what happened. This becomes annoying because there are some of us who sacrificed our lives to work and serve this country. This is not fair and it forces people like me to come out and explain what this whole thing is really about, to shed some light on the topic hoping that the sane people in Haitian society who want to know the real truth about what happened, who will not participate in the lynching that is currently going on to solve political problems. Many people are talking about Petro Caribe what most people don't even know what it is. An investigation of such great importance should not be handled this way, Wilson Laleau said. In reality this is almost like a "kase fey kouvri sa" by lynching certain people and then case closed. Haiti has two budgets former finance minister Wilson Laleau says, a functioning budget and an investment budget. The investment budget is managed by the Ministère de la Planification. They are the ones who coordinate all the projects, they are the ones who decide when disbursements are made for these projects. It is on the basis that the 'ensemble' of the PetroCaribe projets are executed.